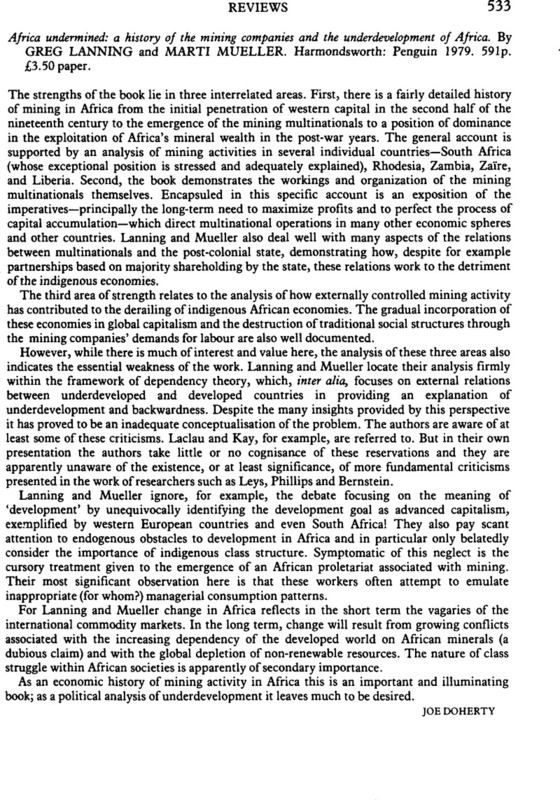 Africa undermined: a history of the mining companies and the underdevelopment of Africa. By Greg Lanning and Marti Mueller. Harmondsworth: Penguin1979. 591 p. £3.50 paper.